Now that America’s tallest peak officially has a cool, one-name moniker, everything seems slightly better in the mountainous world. Climbers, Alaskans and just about anybody familiar with the lofty 20,322 ft. mountain have called it “Denali” for decades, so when the US Department of the Interior renamed it in August 2015, it was really just a formality. 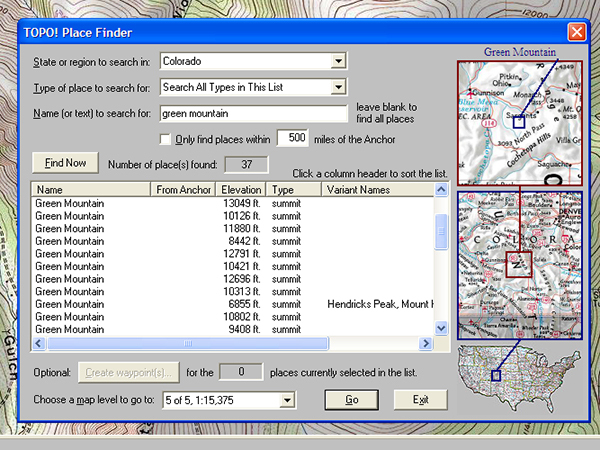 With alpine renaming afoot, what about Colorado? Do we have a few peaks that could benefit from more fitting names? Here’s a list of five that would be worthy changes (and no, that weird stunt where the Governor renamed the 14ers for the Denver Broncos football team doesn’t count, except maybe for “Mount Champ Bailey” in place of Capitol Peak and possibly “Mount Pot Roast” for Mount Massive). 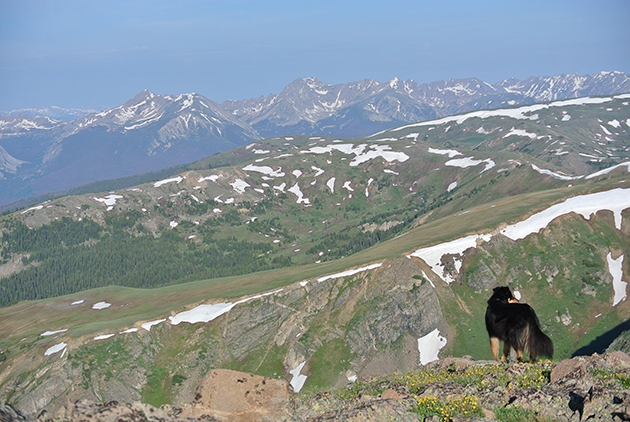 The state’s highest peak, the pride of Rockies and the second highest summit in lower 48 states has a rather lackluster name more suited for a lazy hound dog. Even if enunciated with a French flair, ehl – BEAR, this 14,440 ft. mountain deserves better. Samuel Hitt Elbert (another Ohioan!) was a territorial governor whose heavy-handed policies brought about the still-controversial Brunot Treaty. This document basically gave white men railroad and mining rights in native Ute territory, and gave the Utes a hearty handshake and a ten minute head start to get out. Grateful mine owners bestowed Elbert’s name on the peak for his “negotiating” skills. More trivia: Samuel Elbert married one Josephine Evans, whose father John Evans (born in Ohio) has a 14,000 ft. and a 13,000 ft. foot mountain named after him. Evans’ infamy lives on thanks to his part in orchestrating the Sand Creek Massacre. The Gore Range sounds more imposing that “Elbert”. This impressive region is unfortunately named after a lazy, self-indulgent, arrogant character who raised the ire of native tribes thanks to his habit of slaughtering nearly tame buffalo in droves. At least he wasn’t from Ohio. Sir St. George “The Buffalo Slayer” Gore was “the Eighth Baronet of Manor Gore near Sligo in northwest Ireland” who recruited actual western pioneers and hunters to do all the grunt work in setting up luxury-style hunting trips to America starting in the 1830s. A typical outing for Gore consisted of a small army of men and dogs flushing out anything that moved and directing it towards the stationary, portly Irishman so he could gun it down (read the above link for the gory details). So perhaps we could keep the name but change the patron: Gore Vidal? Al Gore? Martin Gore (keyboardist of Depeche Mode)? How many Green Mountains does one state need? I have nothing against a single peak named Green Mountain – it’s a fitting, if somewhat uninspired name that kind of points out the obvious. The problem is that Colorado has at least 20 officially named Green Mountains! You could spend a summer just hiking all the Green Mountains. On a clear day, you can see Green Mountain in Boulder from Green Mountain in Denver. And let’s be honest, it’s kind of hard to find any mountain in Colorado that isn’t a little bit green. If we strip 19 of the Green Mountains of their titles, that leaves a fine collection of peaks to be outfitted with more appropriate names, perhaps in honor of our favorite green things: Granny Smith Peak, Oscar the Grouch Point, Guacamole Needle, and Mount Luigi all come to mind. To repeat a theme here, you can clearly see Wilson Peak from Mount Wilson. Unlike our previous namesakes, Allen David Wilson was mountain-legit (and he was from Illinois). He was a surveyor for the legendary Hayden Survey, so we can all feel good giving him at least one of the Wilsons. The Hayden Survey was the lead group that eventually became the US Geological Survey (USGS) and upon its formation, Wilson was named chief topographer. And to give further credit to the man, he scaled the difficult peak-to-be-named-Mount Wilson, 14,252 ft. in September 1874 — a burly accomplishment, even by today’s standards. But c’mon now, the two Wilsons are 1.5 miles away from one another! And surely there were other guys from Hayden Survey who were just pining to have a mountain named after them. The only upshot was the anonymous climber who left a “1” Mets jersey on Wilson Peak in 2011 and declared it “Mookie’s Mountain”. Mookie Mountain, now that’s a name I can rally behind. Yet more trivia: the triangular-shaped mountain Coors beer uses for its logo is Wilson Peak as viewed from the north, though experienced frat guys everywhere will tell you there are at least three and possibly four Wilson Peaks on a can of the budget banquet beer. I just feel bad for Dump Mountain. It’s not that dumpy. The modest 9,180 ft. peak near La Veta Pass will never grace a postcard but that’s no reason to dub it with such a mean-spirited name. It’s got a little road up to it, some nice trees and plenty of grass (though, of course, we can’t name it Green Mountain #21). It could be worse: Diaper Mountain, Sick Kitten Spire or Fungal Infection Point would be downgrades. If it must retain its name in some form, I say let’s go with the hip singular and just call it “Dump”. I say we need to rename Mt. Evans since it is named after the governor who sponsored Chivington to commit the Sand Creek Massacre. How about Mount Soule or Mount Black Kettle. Nothing wrong with Ohioans, except that we weren’t born in Colorado! Lots of refugees from the Midwest here in the high country. Let’s name peaks after bugs – after all we have the Mosquito Range. How about Mt Earwig? Get rid of all the politicians names, how about naming peaks after beer or Colorado’s newest native product, weed? Blueberry Kush Peak has a nice ring to it! Or Mt Flat Tire?